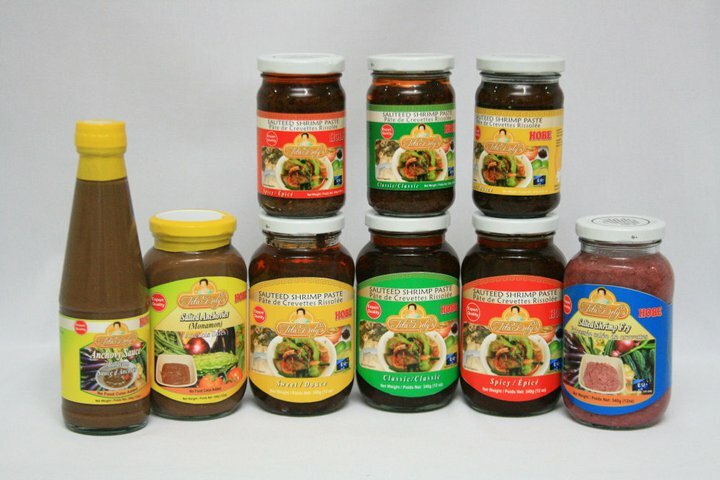 The first bihon company to receive HALAL Accreditation in the Philippines. 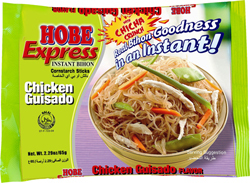 HOBE Special Bihon is made using state-of-the-art production processes from only the finest-milled cornstarch yet maintaining the same taste and quality of traditional bihon noodles. Its firmness and smoothness make it ideal for soups, stir fries and other oriental dishes. 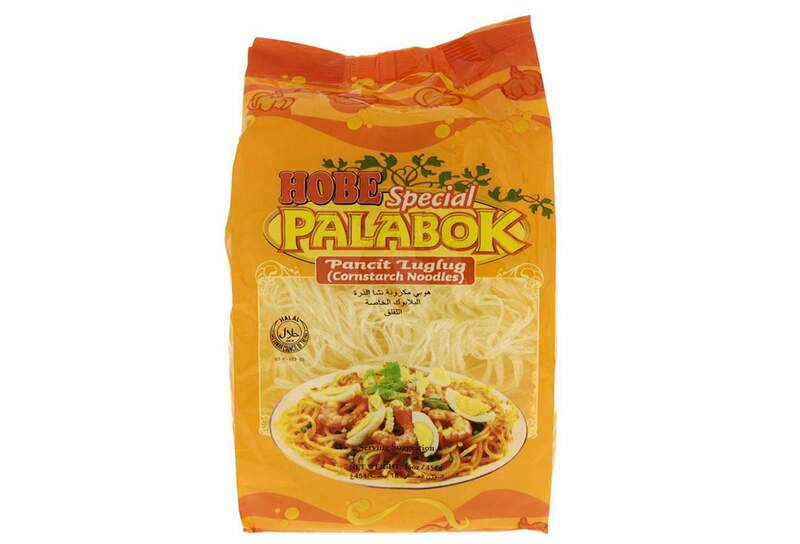 Enjoy traditional dishes made exceptional with HOBE Special Palabok. 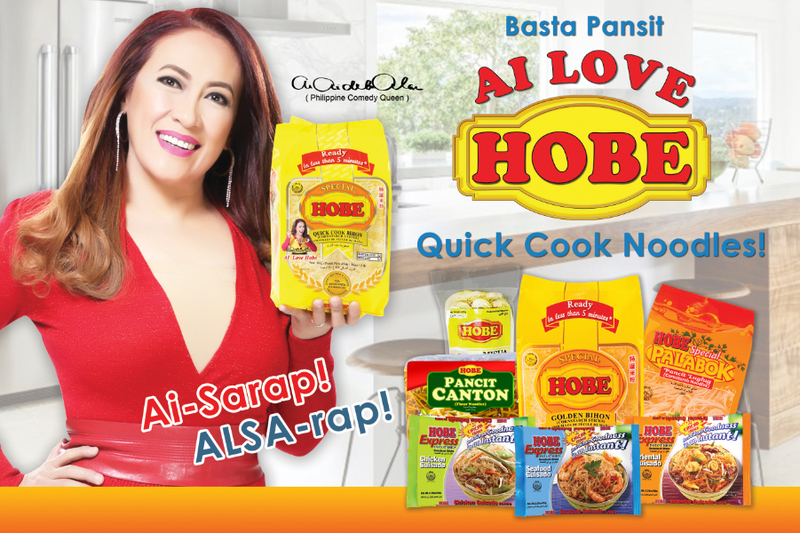 Taste the appetizing goodness of classic favourites using HOBE Special Palabok noodles that is made from the finest ingredients. 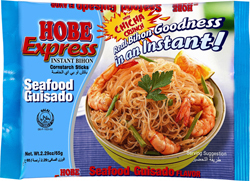 Discover the true taste of Bihon in 4 easy steps (Boil, Drain, Season, and Serve) with HOBE Express Instant Bihon. 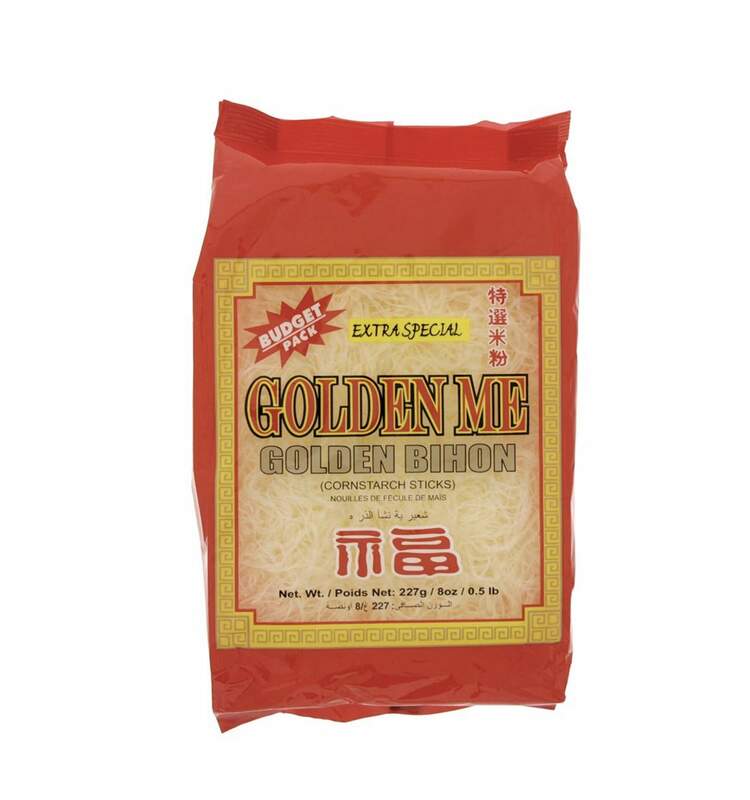 Enjoy the delicious and savoury flavours of authentic bihon in an instant. Delicious, quick and easy to prepare. They come in 3 exciting flavors: Seafood, Oriental, and Chicken. 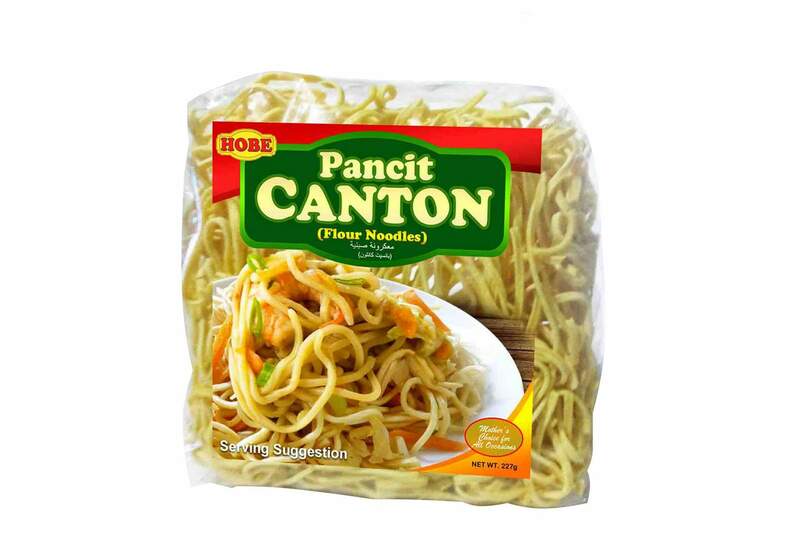 Pancit Canton is a classic Asian deep-fried noodle. 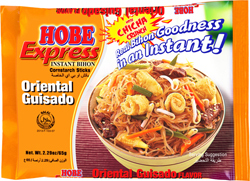 The Hobe brand of these traditional noodles is known for its smooth, firm and sumptuous texture, which is the most ideal for stir-fried dishes. Hobe Misua, a very thin air-dried noodle, is made from finely milled wheat flour. Thin and lightweight, it is an ideal complement to savour soup or stir-fried dishes. 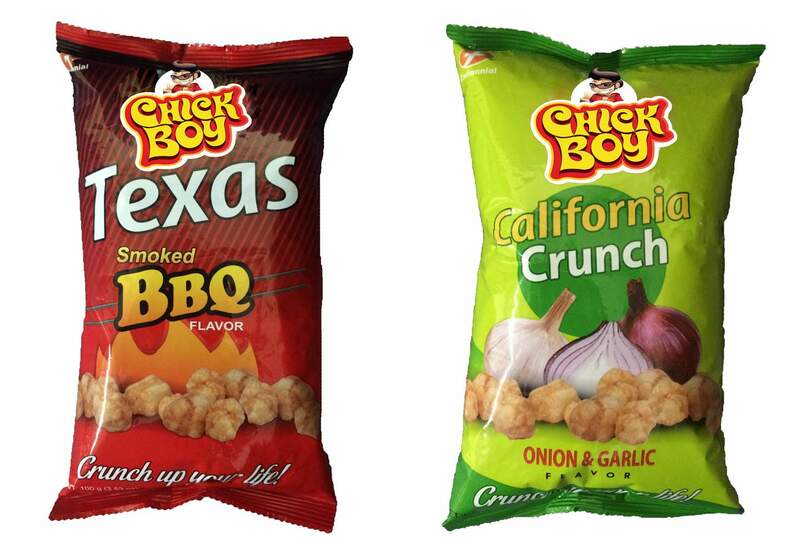 Available in four mind-blowing variants: Sweet Corn, Cheese, Texas Barbecue and Onion & Garlic! A Filipino-favorite snack made from deep-fried flour noodles. Pilipit is a crunchy, sugar-glazed bread twist made from wheat flour, sugar, and flavoring. 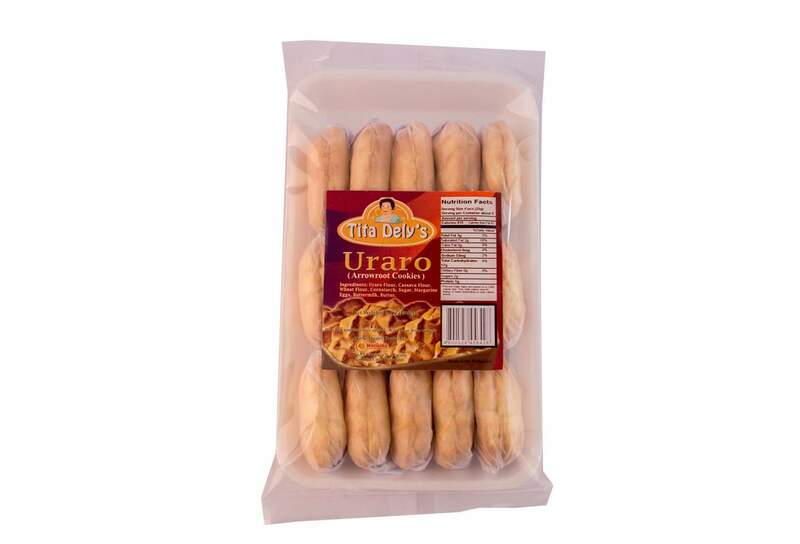 Uraro, or arrow-root cookies are made from arrowroot flour, giving them a distinct powdery texture, and sweet taste. 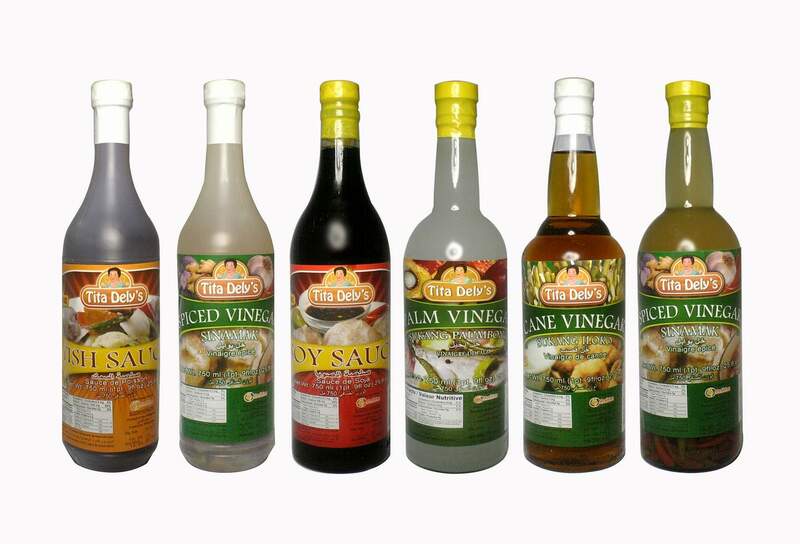 Philippine fruits, beans and roots whose freshness have been safeguarded in a bottle so that people around the world can enjoy them anytime of the year. 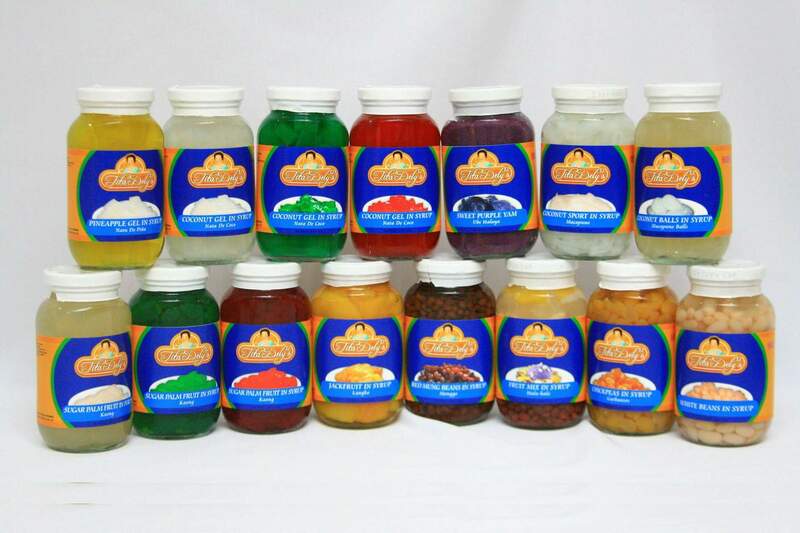 Bottled fruits, roots, and beans include Jackfruit, Pineapple, Coconut Gel, Coconut Sport, Coconut Balls, Sugar Palm Fruits, Purple Yam, Mongo Beans, Chickpeas, White Beans, Fruit Mix (Halo-Halo), Pickled Papaya, Sweet Bananas, and Tapioca Pearl. 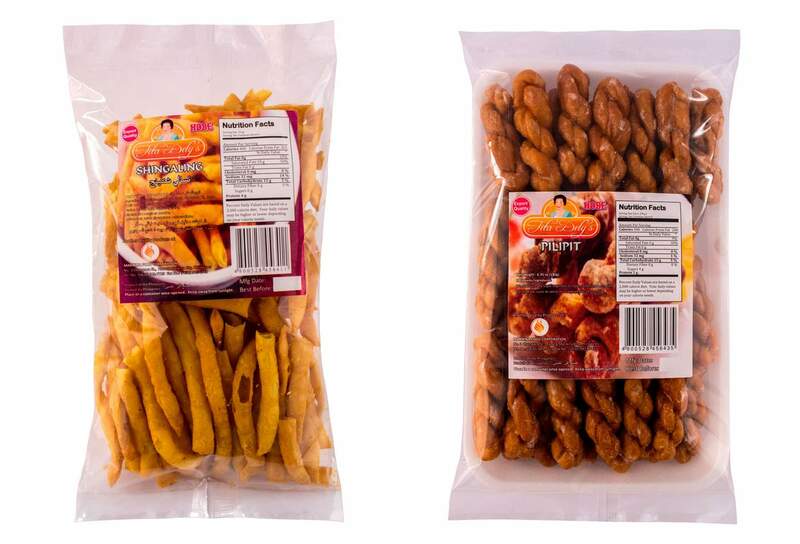 Enjoy Asian Cuisine that are enhanced by shrimp fry based products. These are made from fermented ground minute shrimp mixed with salt whose flavors come naturally alive through time. 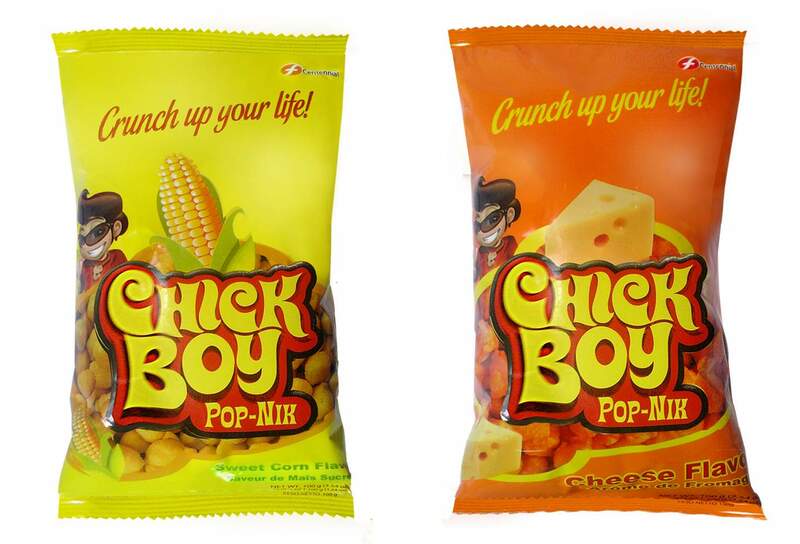 They come in regular, sweet and spicy variants. Improve the taste of everyday dishes by adding fermented condiments. A kitchen is no kitchen without these staple flavor enhancers. These condiments add life to your food. Use them everyday! © Marikina Food Corporation. All Right Reserved 2016.